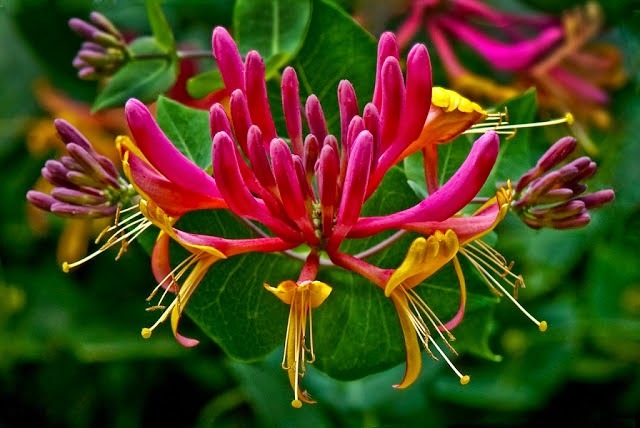 Honeysuckle climbing plants are some of the most popular of all ornamental garden climbers, and why wouldn't they be? Vigorous growth combined with heavily scented flowers, these hardy twiners are ideal for covering large walls, fences and archways. Unfortunately their vigour can prove a little too much for some and older plants can become woody and in extreme cases unsightly. However this can easily be dealt with by some appropriate pruning. Overgrown and and straggly plants can be can be thinned out with lateral shoots pruned back to 6 inches in March or April. Don't be timid when pruning and always cut back to a healthy set of buds. Take out any leader that are growing beyond your chosen height. 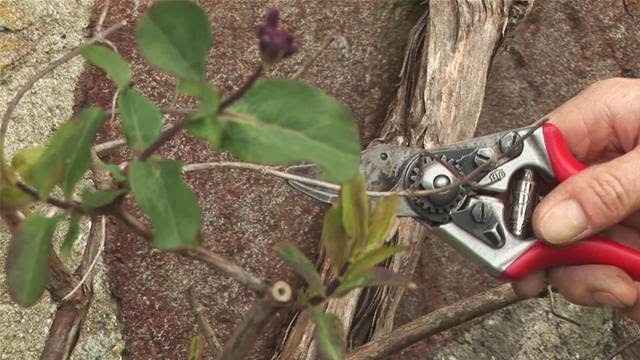 In extreme cases where the honeysuckle is particularly woody and unattractive it can be rejuvenated by cutting the whole plant back hard to about 3-4 ft from the ground in February. Be aware that this will have a severe impact on the plants flowering during the on-coming season, but come the following year it should flower its socks off. To keep things in check from this point onwards carry out annual light pruning each year in the spring in order to maintain a neat and tidy shape.